No one should be surprised to read that I love baking. But, more specifically, I love baking cookies. The uniformity of them appeals greatly to my inner organizer. It makes me endlessly happy to see a few dozen perfectly-sized cookies cooling side by side on my kitchen counter. These particular cookies manage to be simple and interesting at the same time. While there aren’t many ingredients, the ones present really take center stage. 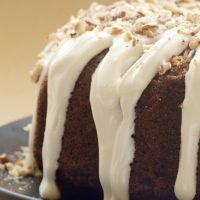 In the end, you have a brown sugar laden treat packed with toasted pecans and covered in sweet confectioners’ sugar. 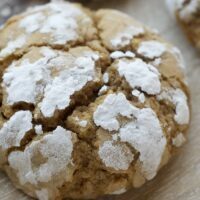 The recipe for these cookies comes from one of my favorite cookbooks, The King Arthur Flour Cookie Companion. It is jam-packed with just about any kind of cookie you can imagine. For all my fellow cookie bakers, it is a must-have for your cookbook collection. small commission at no additional cost to you. 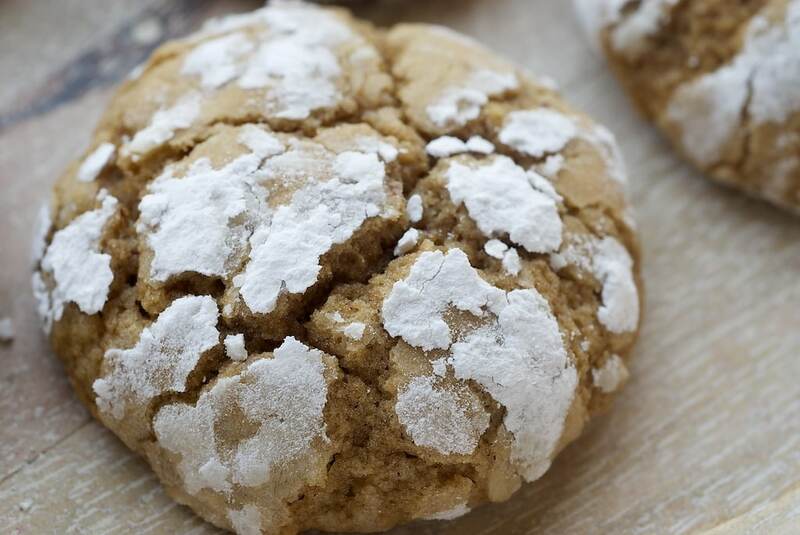 Brown Sugar Crinkles are simple cookies with big flavor. Perfect for sharing! Using an electric mixer on medium speed, beat the brown sugar, butter, and vanilla until well-blended. Add the eggs, one at a time, beating well after each addition. Beat in the baking soda and salt. Reduce mixer speed to low. Gradually add the flour, mixing just until combined. Stir in the pecans. Cover the bowl and refrigerate for 1 hour. Place the confectioners’ sugar in a shallow dish. Using about a tablespoonful of dough, roll the dough into balls. Roll the balls in confectioners’ sugar, coating thoroughly. Place the dough balls 2 inches apart on the prepared baking sheets. Bake 12 minutes, or until the cookies have spread and cracked on top. Cool on baking sheets for 5 minutes. Then, transfer to wire racks to cool completely. *Before toasting pecans, lightly spritz with water and sprinkle with salt. Recipe slightly adapted from The King Arthur Flour Cookie Companion. I love chewy chocolate chip!! My favorite is Oatmeal Raisin Cookie. I found the recipe on the internet a few years ago which uses rice flour. It is the best. By the way, I made the Caramel Oatmeal Bar. My sister and I loved it. Favorite cookie……….a very hard choice. I might say my current favorite is a chocolate cookie that surrounds a peanut butter center. In fact, I think I found the recipe on one of your Saturday reviews of things you’d bookmarked! My favorite cookie is the classic chocolate chip cookie! Warm and gooey out of the oven! Yum! My favorites are Kim Boyce’s whole wheat chocolate chip cookies with maldon salt on top, I feel like i’m being a little healthier and the whole wheat flour makes them a little sweeter. My favorite is these linzer cookies my mother-in-law makes! Old school and amazing. Peanut butter blossoms. Or white chocolate macadamia. Or molasses. DAMMIT. I can’t pick a favorite. These look like a great companion to a cup of coffee, which, by the way…I love with brown sugar and a bit of cream. I will definitley try these. They look so delicious! I love oatmeal chocolate chip cookies! I never get tired of oatmeal chocolate chippers with dried cranberries. I love baking chocolate chip cookies with dried cherries, but I have been trying to find a good chewy chocolate cookie recipe for a while now. Might be boring, but I love a good traditional chocolate chip cookie. I LOVE cookies! Snickerdoodles I think are my tried and true favorite. They always make me happy! Oatmeal chocolate chip is the best combination–by far my favorite! I’m going to have to go with the traditional chocolate chip…warm out of the oven, of course! I think my favorite homemade cookie would have to be a really good peanut butter cookie. I really like a nice dark cookie with ginger and molasses. The more ginger, the better! I love oatmeal raisin cookies, but I am a sucker for any cookie no matter what flavor. pinned it! Hope I win! Chewy chocolate chip or shortbread, but the KA magic in the middle cookies are pretty yummy too. If I had to pick a favorite it would be sugar cookies with red hots! I would LOVE to win this because I LOVE to bake cookies too! I love so many kinds of cookies…but if I have to choose, it will be soft, chewy chocolate chip cookies! My favourite cookie has to be a chocolate chip peanut butter cookie – the two flavours go perfectly together! Peanut butter with white chocolate chips and mini Reese’s PB cups. YUM!!! I love oatmeal chocolate chip almond with cinnamon. Yummy! I think my cravings change daily, but right now I’d have to say any cookie with peanut butter in it. Or maybe a big soft ginger cookie. See! I can’t even decide here. I love the GF chocolate chip cookies from the KAF website recipes! Oh My, how does one limit their loves to one favorite??? hmmmm, i guess mine would have to be the PB cookie full of various chocolate chips/chunks. Dreeeeeeeamy!! And I LOVE king arthur flours for baking breads and rolls. Awesome find! and I just facebooked this too!! My favorite cookie is defiantly my modified chocolate chip cookie frozen! I love soft and chewy chocolate chip cookies! 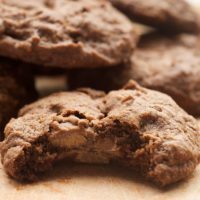 My favorite is Chocolate Crinkles which is a lot like the Brown Sugar crinkles you featured today but rich and fudgey. I use Dark Cocoa when I make them and they are delicious! Thank you for wonderful recipes! Gluten Free Vegan Chocolate Chip from the Flying Apron Cookbook out of Seattle. Best chocolate chip cookie ever – gluten free or regular! I love chocolate chip cookies. The best kind are made with dark brown sugar in my opinion! What a great giveaway! My favorites are oatmeal chocolate chip! My favorite cookie is the big and chewy ginger cookie. Oh! I have also pinned this. i really love lemon bars. I love raspberry linzer cookies! My favorite cookies are lemon crinkles. I could eat the whole batch! Yay, shared with facebook friends! My favorites are chocolate chip toffee cookies. My current favorite cookies are oatmeal chocolate chip made with chocolate and white chocolate chips, a bit of peanut butter, and the oatmeal is put through the food processor after measuring. Chocolate chip cookies fresh out of the oven! Yum! As plain as this may sound, good ‘ole chocolate chip cookies are my favorite! I love them soft, thick, warm, and loaded with dark chocolate chips. Thanks for the lovely giveaway! I love white chocolate chip butterscotch chip cookies! Fav cookie of all time: Mexican Wedding! Love the nuts and powdered sugar. 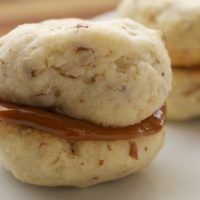 I love maple walnut cookies! my favorite cookie is oatmeal, coconut chocolate chip. i don’t have facebook or twitter so i can’t get extra entries that way – can i get one for being a subscriber? i love compost cookies! and monster cookies…i can’t choose! If I had to choose, I’d say Honey Shortbread Cookies Sprinkled with Sea Salt are my favorite cookie. There’s something so fundamental and transcendent about a good shortbread cookie. Such a tough one… but my all time favorite cookie would probably have to be pignoli cookies. You sometimes find really good ones at italian bakeries. I can never say no to a chewy chocolate chip cookie! 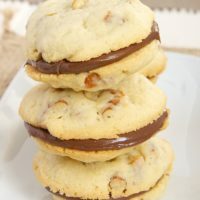 I think right now (emphasis on right now) my favorite is a chocolate chip cookie recipe by David Lebowitz that uses Valhrona feve disks and are finished with a sprinkling of sea salt. To die for! Shared the love on Pinterest. I have to go with the classic chocolate chip cookie. I LOVE all cookies though. I love oatmeal cookies. No raisins to mess up that goodness. My favorite would be my cocoa chocolate chip oatmeal cookies. I am so excited about this recipe! Oh, my favorite cookie is The Neiman Marcus $250 Cookie. 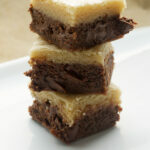 My favorite cookie is a Chewy Brownie Cookie that my son bakes to perfection! thanks for the recipe and the offer!! A lady at church makes crispy oatmeal cookies-love them! 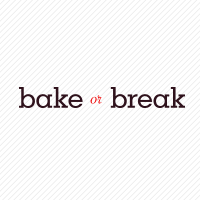 I love baking cookies and King Arthur Flour! My favorite cookie right now is probably browned butter chocolate chip! My favorite cookie??? Has to be whatever I happen to be eating! Love cookies. . .any kind! I love chocolate chip pan cookies! I pinned the recipe! And will definitely be trying it sometime soon! My favorite cookies are oatmeal chocolate chip! I love double chocolate chip whole wheat cookies. I can never resist a good soft chocolate chip cookie. Other than basic chocolate chip, my favorite cookies are probably the ones that I invented with a friend for finals study snacks last semester… it’s a secret recipe that may be revealed on my blog (http://ovenly-delights.blogspot.com) once we have perfected them. Hint: they include chocolate covered espresso beans. They actually make me look forward to finals week! My favorite cookie is probably a super thick and chewy snickerdoodle! Yum. I love peanut blossoms, I make them every year around the holidays. Haven’t met too many cookies I don’t like, but, my favorite would have to be peanut butter chocolate chip. Chewy oatmeal with raisins or dried cranberries or cherries! 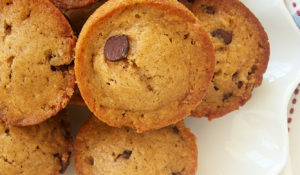 I have to say that favorite is always changing, last best thing I made was from your site, it was the chocolate chip blondies with fluer de sel, so amazing. Jam Thumbprints rolled in coconut. Chocolate Espresso Chews and Thomas Keller’s chocolate chip cookies. My go-to cookie is Oatmeal Chocolate Chip. Always a crowd pleaser and I can pretend they are ‘healthy’. Kim Boyce’s Whole Wheat Chocolate Chip Cookies. A very fudgy chocolate brownie! My favorite cookie is white chocolate macadamia…it gets me every time! I shared this post on my FB page! Woah– I just found out that KAF has a cookie cookbook and was thinking about buying it, myself … fate!! I generally don’t discriminate against cookies, but I have to say my absolute top, favorite cookie is the molasses cookie. Not just any, but my Grandma’s recipe. YUM. It’s definitely hard to choose a favorite cookie! (I would never turn any one down!) But I’ve always had a special fondness towards shortbread cookies! All time favorite is molasses cookies, or any variation of them. Current favorite is salted pretzel chocolate chip cookies. 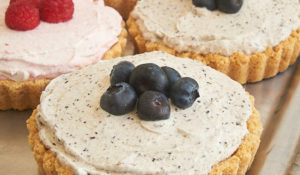 A definite winner in the quest for something to satisfy that sweet salty craving! scottish shortbread – so simple, but so delicious! I like them all but if I have to pick just one I guess it would be peanut butter chocolate chip. I am also in love with cookies! I so enjoy molasses cookies and pecan snowballs. But I have to say that my heart belongs to the classic toll house chocolate chip cookies. I shared this on face book! hmmm…that’s a tough one. I love a chewy molasses gingersnap. but also a big fan of classic chocolate chip. oh – and peanut butter! too many to choose! these look perfect, though. I will have to try this recipe soon. I love flat-ish, chewy chocolate chip cookies with either mini-chips or chunks/pieces of a dark chocolate bar throughout. There is this bakery in Fresno that makes the most amazing melt-in-your-mouth “Sugar Dream” cookies!! Definitely my favorite! My favorite cookies are called Mrs. Gelbach’s cookies. My grandma used to make them and I have no idea where they came from. They are made with like a ton of flour. My mom makes these candy cane cookies at Christmas: almond-flavored dough, half dyed red and half white, then twisted in the shape of a candy cane, and topped with actual crushed candy canes. I wait for them all year. I’d have to say my grandma’s chocolate chip cookies, though lately I’ve been enamored with snickerdoodles and can’t turn down a nice spritz. Mmmm…butter! My favorite cookie is Browned Butter Chocolate Chip Cookies! Chocolate chip, of course. =o] Throw in a handful of toasted coconut and some slivered almonds, and I’ll be in heaven. I made these today – love them! My favorite cookie is a plain old chocolate chip cookie 🙂 Mmmm! I have to admit, I’m a classic chocolate chip cookie lover! Oh, chewy chocolate chip cookies, for sure. 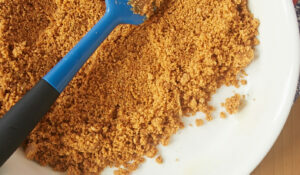 This remind me of the humble and delicious cookies I baked today–honey spice. Same crackly brown top. But if I were in a desert island (dessert island?) situation, I maybe have to go with the classic, the amazing oatmeal chocolate chip cookie. It’s got it all. I tweeted the link to this post! The cookies look so good! Yum. Yum! For some reason I cannot turn down a classic chocolate chip cookie. I love a warm chewy chocolate chip!! My favorite “cookie” would have to be an ice cream sandwich cookie. Malt mixed into vanilla ice cream and then layered between two shorbread cookies. Yum! my favorite cookie is the snickerdoodle! i think mostly because it’s so fun to say! Asking me to choose my favorite cookie is a little like asking me to choose my favorite kid, but I have to say, nothing beats a warm from the oven, chocolate chip cookie. Just barely brown on the edges! posted on my Facebook page too! Your brown sugar crinkles look pretty fabulous, too! Chewy oatmeal raisin, although my family love chocolate chip. Do the pecans get chopped? 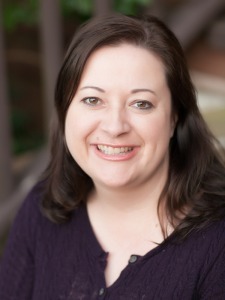 Hi, Shari. Yes, the pecans are chopped. Thanks! An excellent recipe. thanks for the tip on the spritzing the nuts and salting. I had no idea this would make such a difference. Very creative. 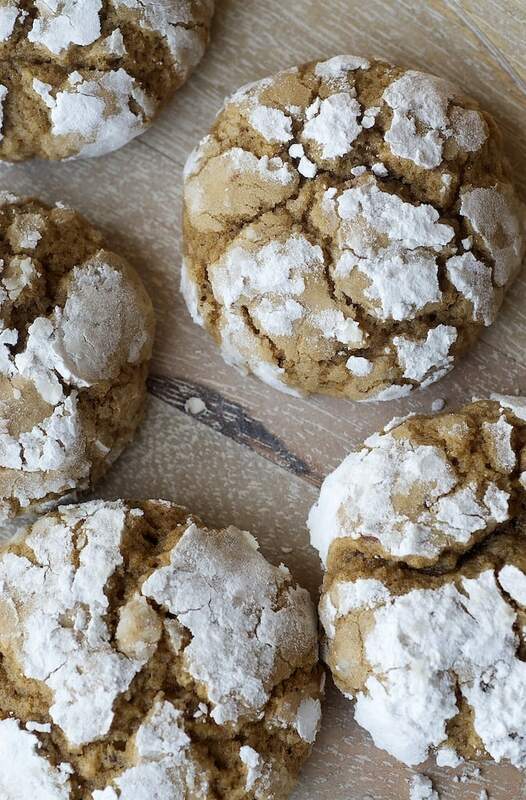 Do you have the name of the cookie as it appeared in the King Arthur Flour Cookie cookbook? I’d like to look it up. Hi, Sarah. If I recall correctly, they’re called Brown Sugar Crinkles. I rewrote the directions in my own words, but otherwise I believe the recipe is the same.